Traditional Chinese medicine (TCM) is becoming ever more of a buzz topic in beauty, from the rise of jade face rollers to using turmeric (see Kiehl’s Turmeric and Cranberry Seed Energising Radiance Masque, £34, kiehls.co.uk), goji berries (Kat Burki Advanced Anti-Aging Goji Essence, £160, cultbeauty.co.uk) and rose quartz (Herbivore Illuminating Body Oil, £38, spacenk.co.uk) as starring ingredients. Then there’s the popularity of acupuncture – leading practitioner John Tsagaris has just been added to the roster of experts at Harrods Wellness Clinic. 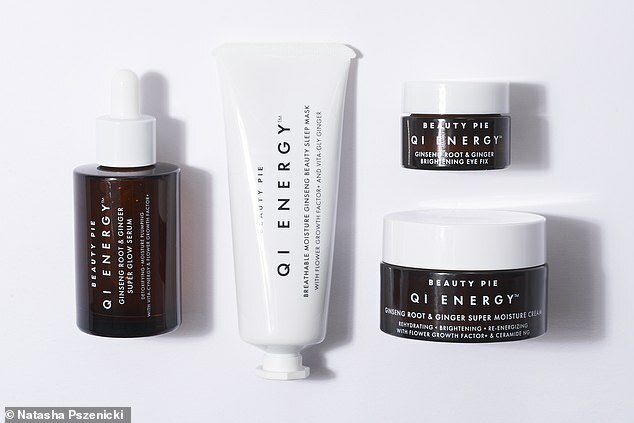 Now Marcia Kilgore, founder of member’s discount website Beauty Pie and one of the beauty biz’s leading innovators and entrepreneurs, has launched a qi (pronounced ch’i) energy line. When it comes to skincare, qi energy – the central principle in TCM – is believed to regulate the body’s internal processes and help rebalance and rehydrate an exhausted complexion. It’s a four-product collection that has been created in Swiss laboratories in conjunction with a Chinese chemist. Heavyweight skincare ingredients such as ceramide NG and palmitoylated matrikine complex (known as Dermaxyl – you can find much good press about its impressive results online) stimulate cell communication and help with the repair of age-related skin damage. On the TCM side, there’s ginseng root and ginger for their anti-inflammatory, lymph drainage and radiance qualities. I realise that all this science talk can start to sound like a load of hokum but I’ve been using this range and it’s darned good – to the extent that people have asked me what I’m using. And, yes, I’d even say my face is looking noticeably more youthful. 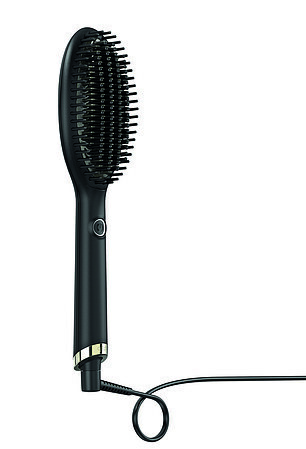 There’s a new product from GHD (short for good hair day) of the hair straighteners fame: the brand’s first hot brush. Simply plug it in, turn it on (it heats up in moments) then glide it through hair for instant – and impressive – tamed, sleek, frizz-free results. If your hair is prone to tangling I’d advise a comb-through first or this could tug. But otherwise it is the easiest styling tool to use and incredibly effective. £125, ghdhair.com. • Bramley is phasing in bottles derived from sustainable sugar cane and recyclable pumps to package its bath, body and home products. • Simple now has biodegradable wipes that take only 42 days to decompose (as opposed to 100 years for polyester ones). Available at Tesco and Waitrose, around £4.39. • Bleach London is aiming to become a sustainable, carbon-neutral brand this year. Its first initiative is the launch of 500ml and 1 litre glass pump bottles, which can be refilled at any Bleach salon. Currently only available for the Pearlescent Shampoo and Conditioner range (both £6.50) but others will follow shortly. Yes, that means it’s London-only and, yes, please take care in baths and showers around glass.